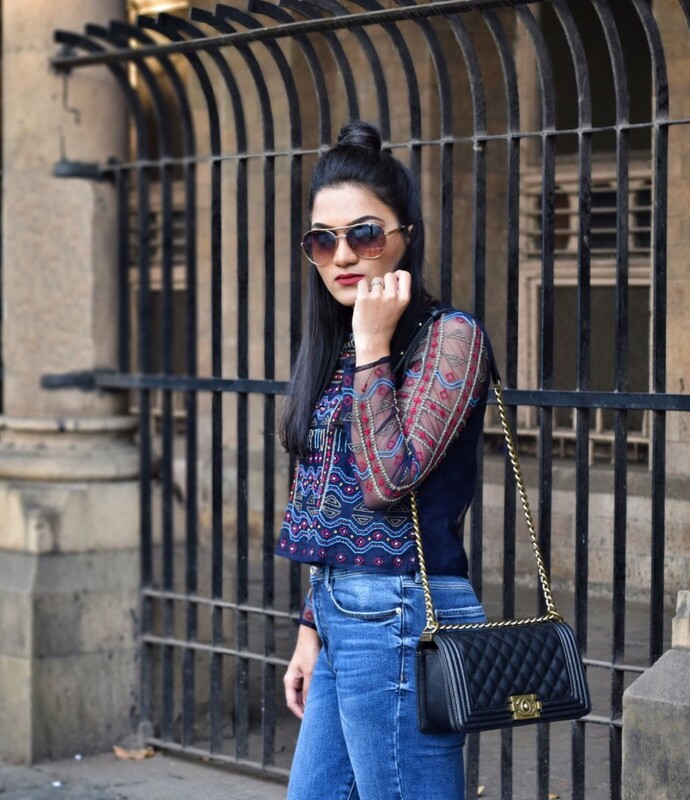 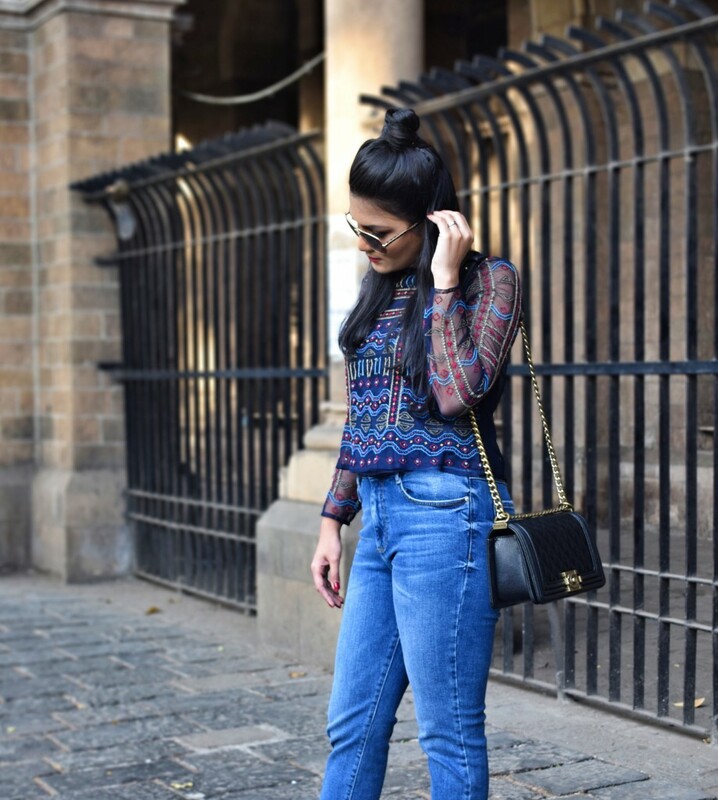 There are days when I want to go all bold and dramatic with my outfits like in the previous post and then there are days when I want to just slip into something casual for instance a pair of jeans and top. 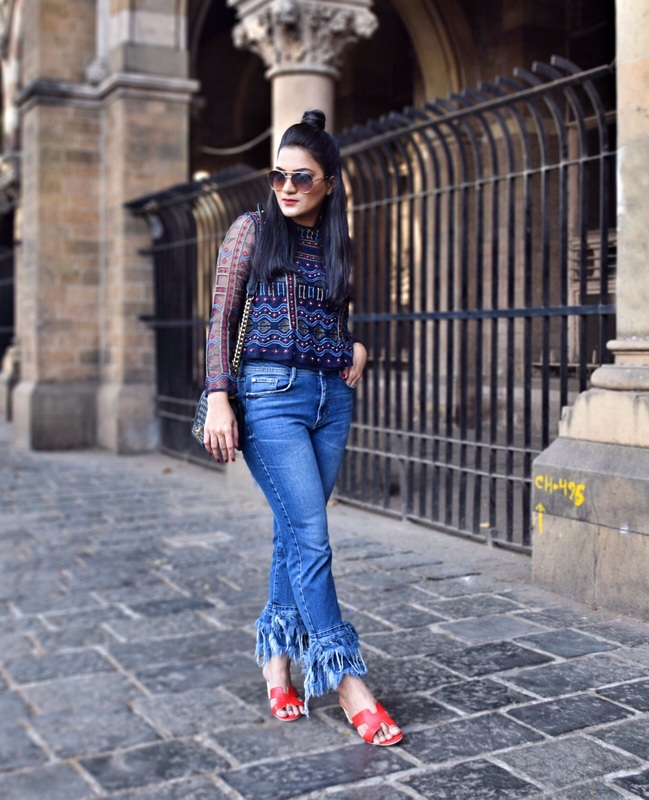 If any of you share this sentiment most of the times and find staying on par with current trends overwhelming yet want to look stylish, then giving these trends a try in subtle ways is the solution. Tulle skirts and mesh overlay dresses for everyday outfits may not be everyone’s cup of tea but a beautiful tulle top with intricate embroidery like this one can surely be an easy yet a stylish way out. 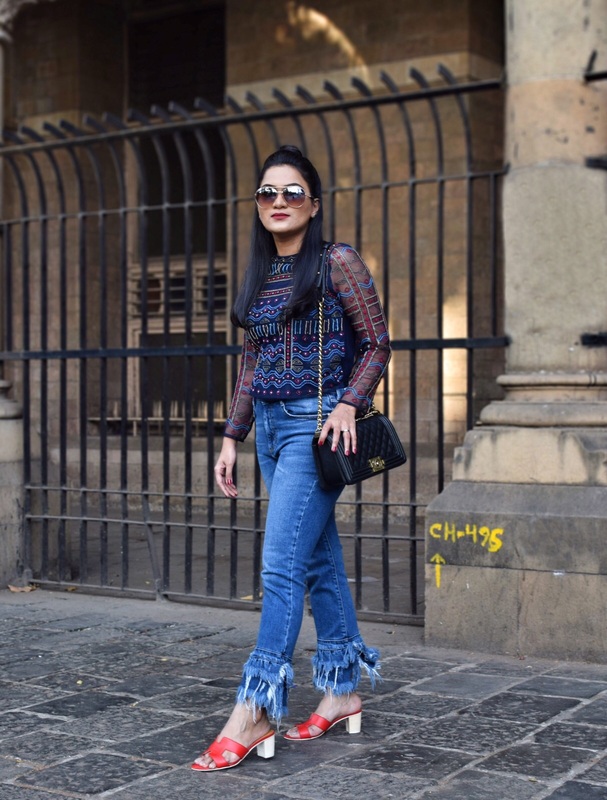 Frill hems or Ruffle trims are the easiest way to wear the this feminine trend, to top it off cropped jeans with a kick-flare frill/ruffle hem is an extremely casual take on the frill trend. 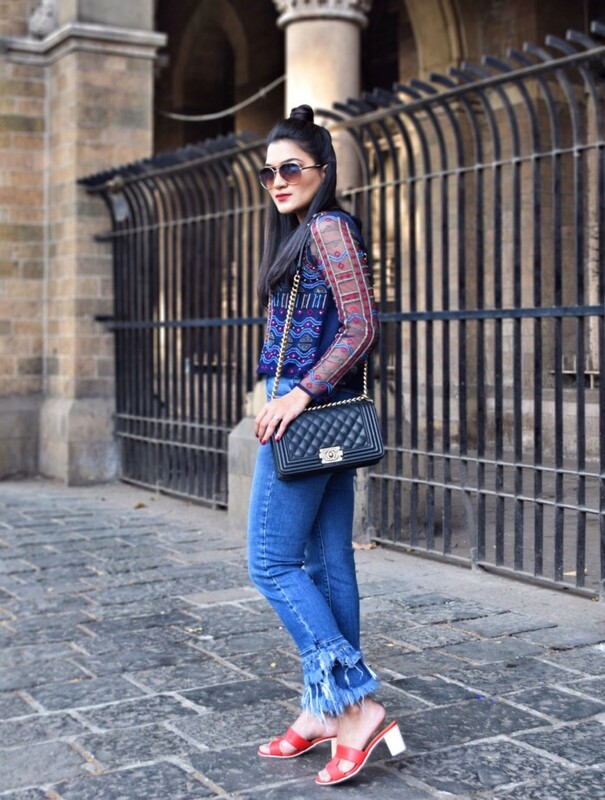 With layered frill hem and tassels these jeans added the right amount of trendiness to my look. 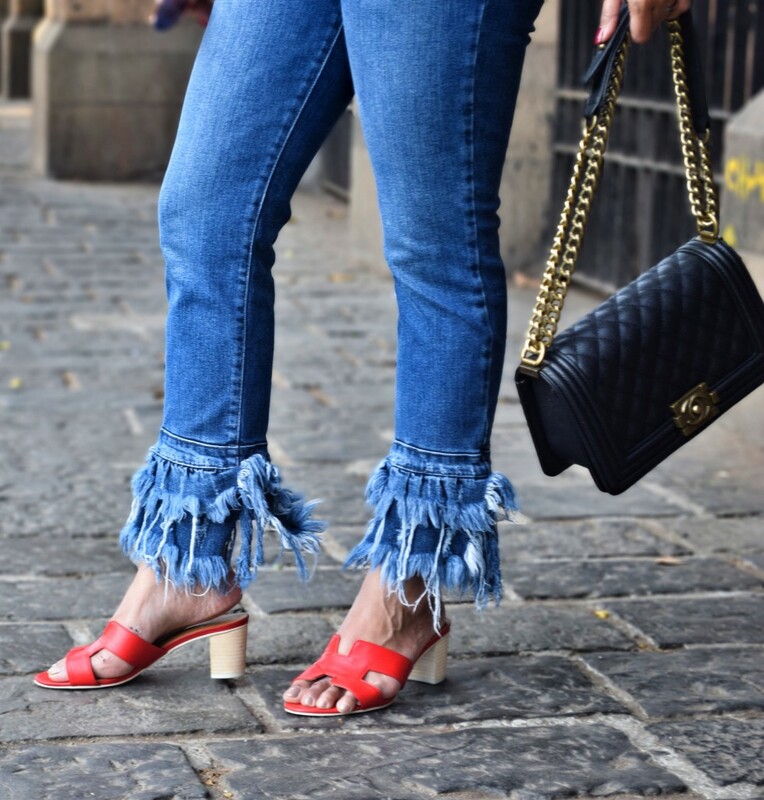 To complete the look with my Chanel Boy, bright red heels and the half bun which I feel is going to be my go-to hairstyle this summer.